The program of IASWG is carried forward by its members. 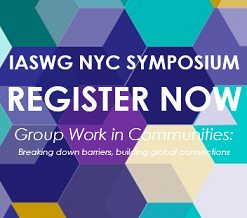 To plan and carry out the work of IASWG, the Board of Directors meets twice each year, once at the time of the Symposium and again in mid-June in New York City. In addition, many board committees, are busy throughout the year. All IASWG members are encouraged to seek participation on the IASWG Board. For information, please check the Nominations and Elections Committee area of the website. All IASWG Board members are expected to participate on these committees. However, any IASWG member is welcomed to participate in the work of the committees of the organization. If you would like to discuss options for how you might get more involved in participating on a committee, please contact a Committee Chair or email us at: [email protected].